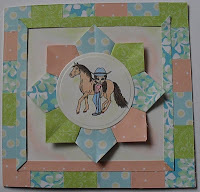 This week at Cowgirl's Sunday Stamp'en Challenge #5 there is a photo for inspiration. This is my card inspired by the photo. I have used one of CJ's images again because I thought it went with the country feel of the card. The papers are from various digital papers from Tinker & Co. I have 2 new images from Cowgirl's Stamp'en Ranch because I won challenge #4. I chose an angel called Angela and a girl called Christy. CJ has some great images and is added to them weekly. Her store is Cowgirl up digital stamp'en ranch. Thank you to everyone who has been to visit Rancorman's Ramblings it's given him the push he needed to get started again. He's been out taking photos for his next review. oh my gosh this is absolutely gorgeous huni i love the papers and teabag folding is beautiful goodluck huni and thankyou for your constant support and for playing along with this weeks challenge at CSSC. I really love this card! I really get a quilt feel from this card. Thanks for joining us at Cowgirl Up! This is wonderful! I love the patch work. It looks like the inspiration pic! Just gorgeous! Are you sure you don't want us to ad DT next to your name? 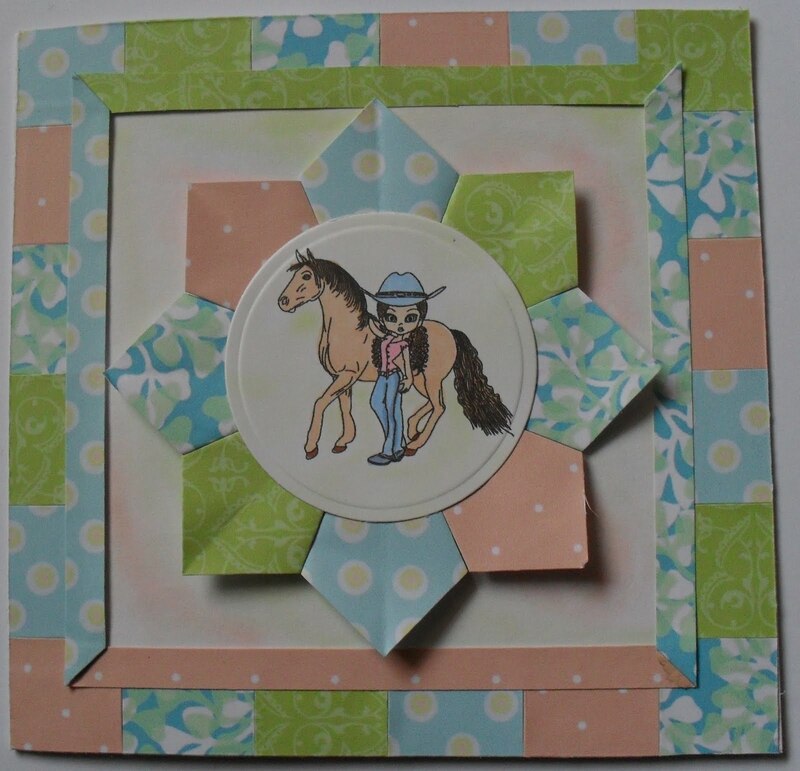 Thank you for joining us for "COWGIRL’S SUNDAY STAMP CHALLENGE"! I look forward to seeing more of your SUPER FABULOUS crafty works in the future! love the teabag folding, great job. thanks for joining us at CSSC. Beautiful card, love the quilted effect you've achieved with those gorgeous papers! Thanks for joining us at CSSC and Good Luck!! What an amazing, fabulous, gorgeous card you made. I so so love it. The dp is soft and gentle and the coloring of the image is great! Thanks for playing along at CSSC. Wow! This is great!! Poppet!! I love the patch work. The image is fantastic and great papers too! You are soooo talented and such a lovley woman!! thanks for sending the baby card again..... and because you where the only one who send a card you are my winner of the stamp!!! i am very happy, that it is you to win it!!! Gorgeous card Poppet. The image is fab, the papers are great, and I love how you've done the paper folding. It reminds me of patchwork quilting, I love it. Yes this is a Quilt *lol*, the patch work is beautiful!! Thank you for joining us for "CSSC"! I look forward to seeing more of your crafty works in the future! This is a fantastic take on the inspiration photo - love it. Thanks for joining us at CSSC. WOW this is a stunner!! You have recreated the quilt perfectly onto your card and that image is perfect for the theme! Thanks for joining us over at Cowgirls Sunday Stampen Challenge this week and good luck! Love the papers and the colouring on the image.